Obviously, this chair has shaped as a bath tub and is reminiscent of those 70s chairs where you were all enclosed within the chair. Surprisingly it’s fairly comfortable to sit in, although you wouldn’t want to remain in there for a long stint of time. 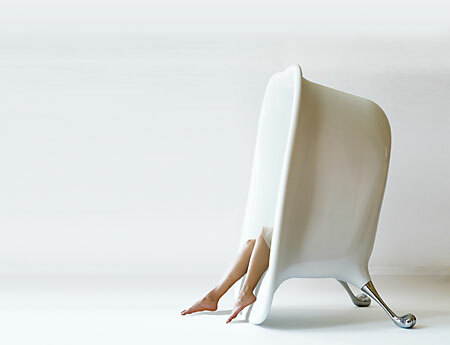 The designer Mich Wendel explained that he was inspired to design this chair from photographs of splashing water. 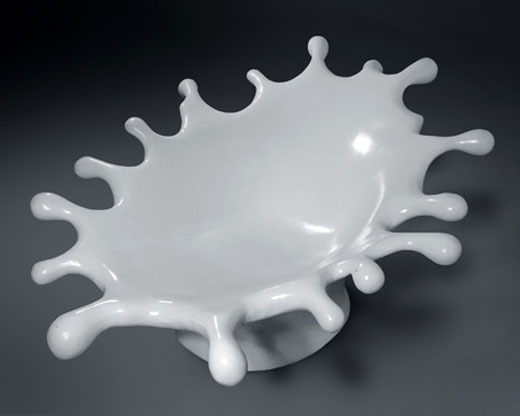 It’s has fibreglass finish to the chair and has a milky white color to it which is enhanced with the coating of Bondo. 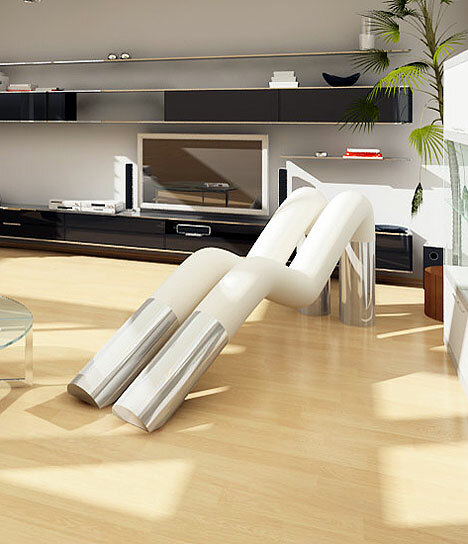 This is one of our favorites and I won’t lie to you, I have one of these at my own place. 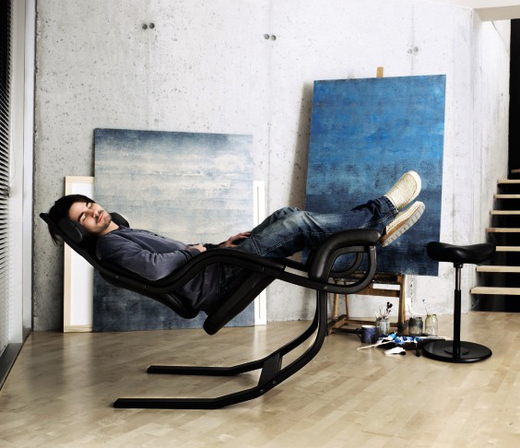 I have personally never experience zero gravity, but if this chair is anything to go by, then I sure would like to try. 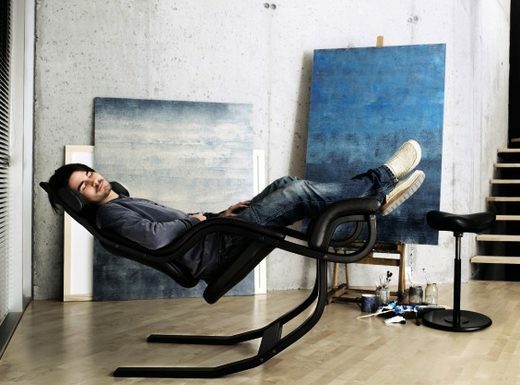 The chair uses the sitters weight to balance itself in a range of different positions. You can be fully reclined back or sitting upright just like in the office. You can even rock back and forth like a traditional rocking chair. This may tickle your inner minimalist as well as just leave you wondering how it works until you try it. The Soft Pipe Lounge is made from big iron pipes with a relatively soft center to it for where you sit. The outer material is leather with the pipes exposed on bottom and top. Very chic, very modern. 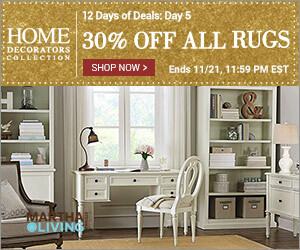 Missing those childhood days snuggling your favorite teddy bear on the lounge? Well how about the opposite? 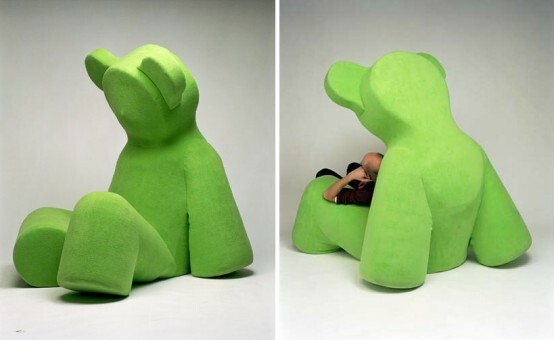 What about the teddy bear snuggling you on the lounge, yes, that’s right, the Swedish designer Matti Klenell has created a huge teddy bear that doubles as a lounge. Strangely though, I have a few friends who I know would love this idea.